It is already known that Nani is acting in a movie under the direction of Indraganti Mohan, who directed Nani’s debut flick Ashtha Chemma. The film is progressing at a brisk pace and the first look of the film has been revealed today. 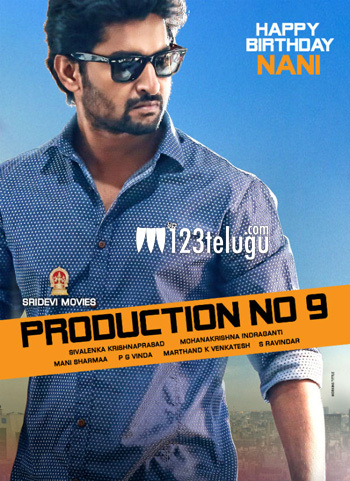 Contrary to Nani’s natural look in his previous films, Nani looks quite stylish in this yet-untitled romantic thriller. Famous producer Sivalenka Krishna Prasad, who is known for producing Aditya 369 is bankrolling this flick. Mani Sharma is composing the tunes while Surabhi and Niveda Thomas are the female leads.